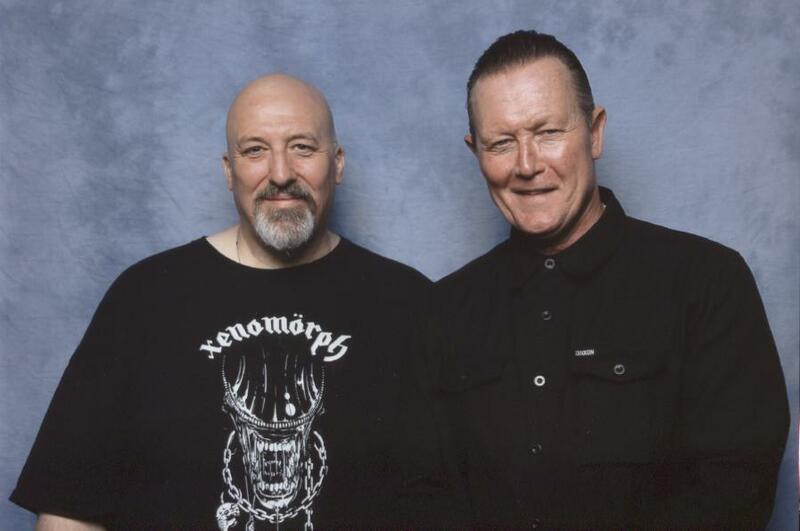 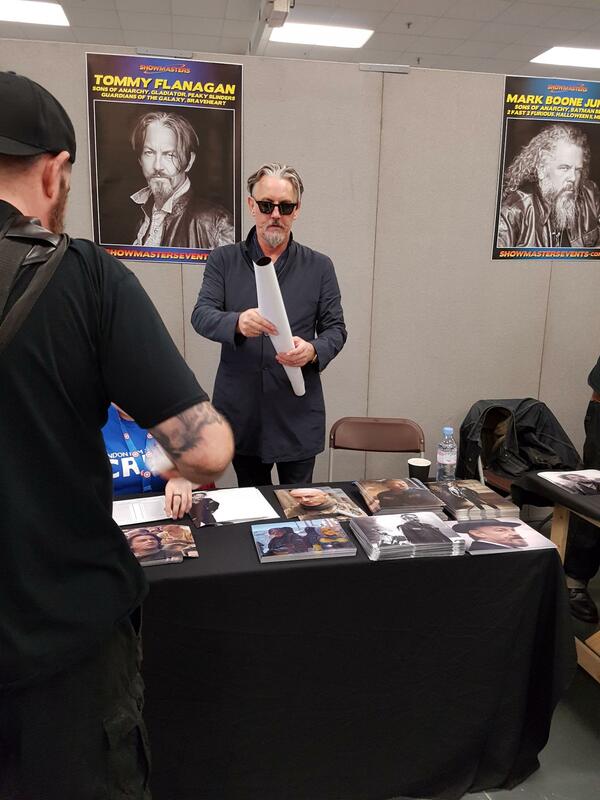 Met Tony Curran and Robert Patrick from SoA at Birmingham Collectormania June 2017. 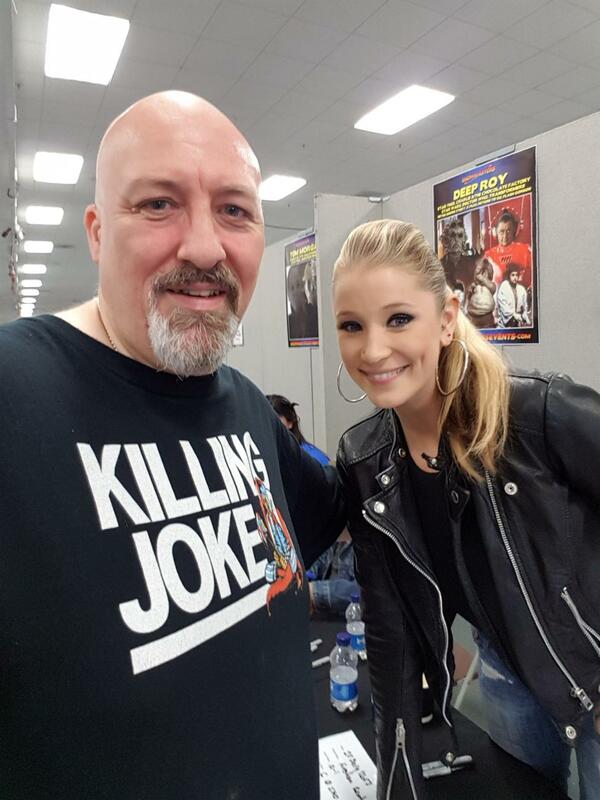 These are the first cast members I have met from the show. 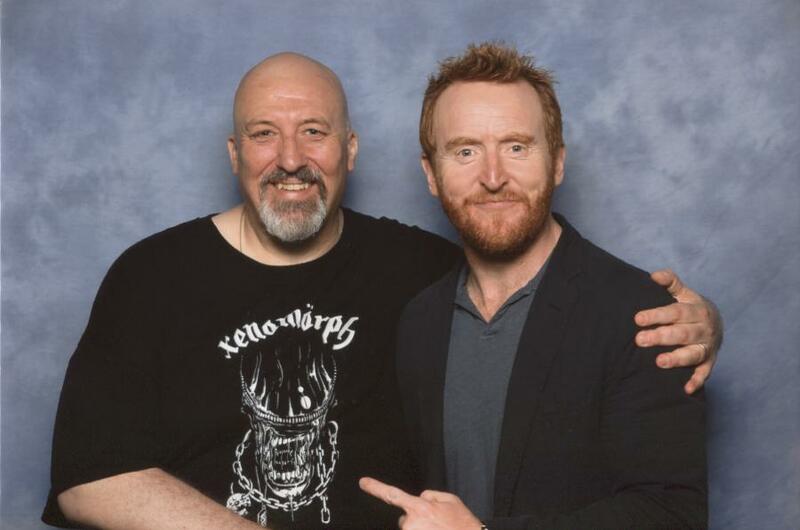 Robert Patrick was a lot of fun, and really nice but Tony Curran was a total legend! 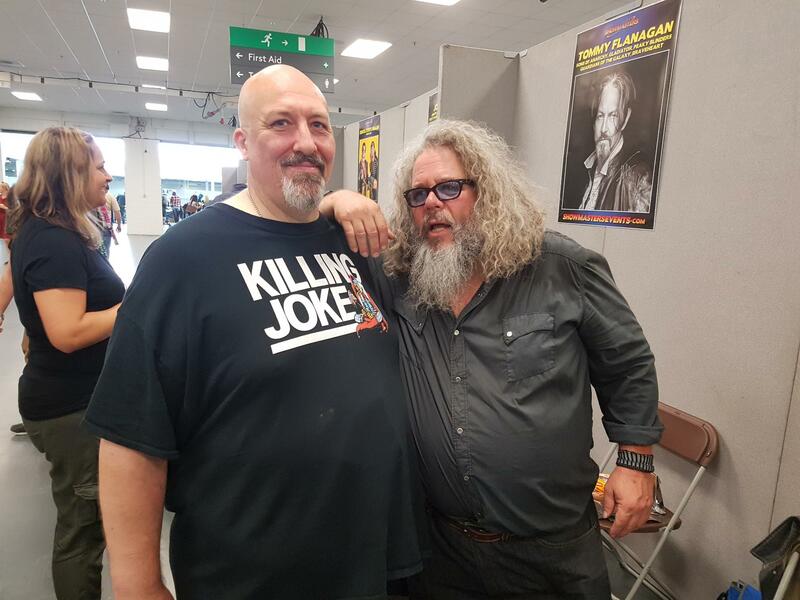 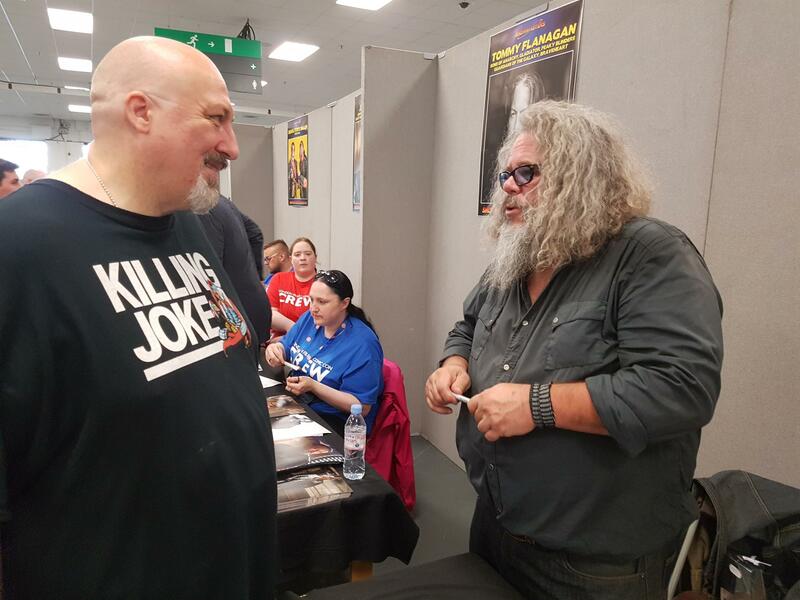 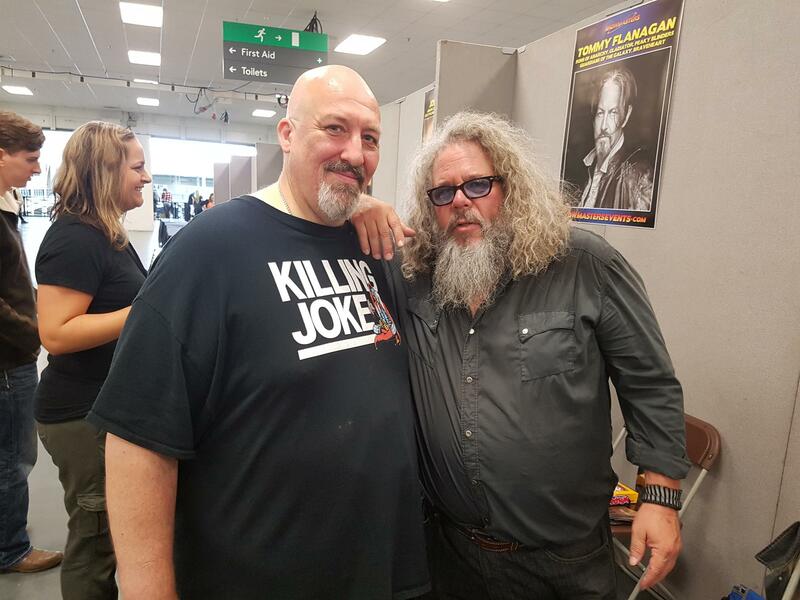 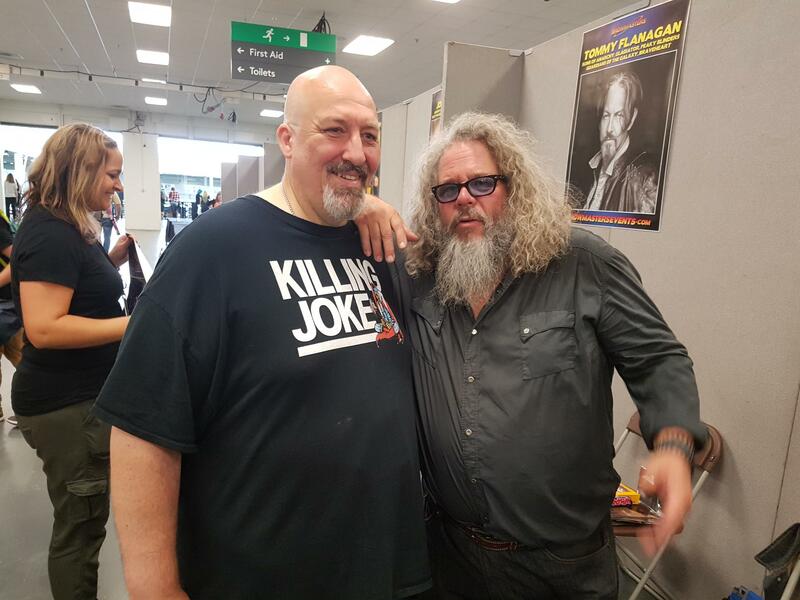 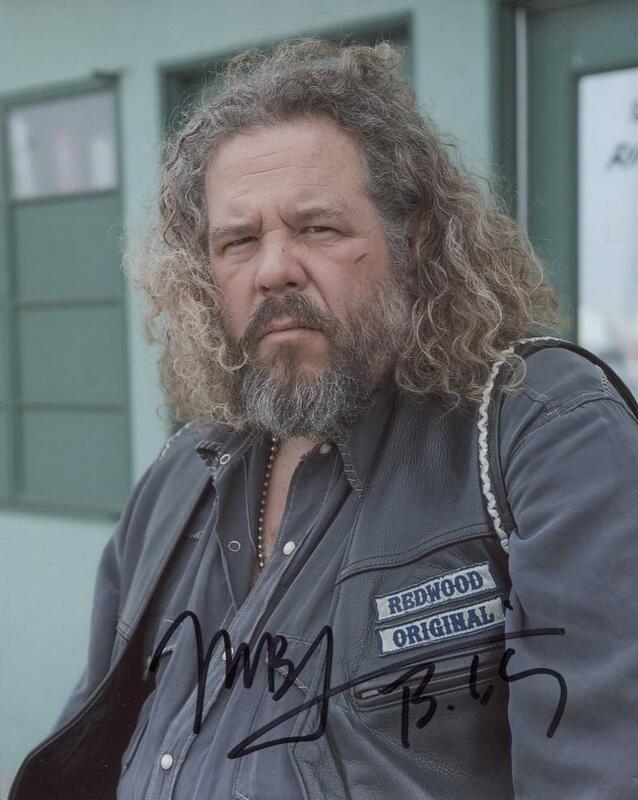 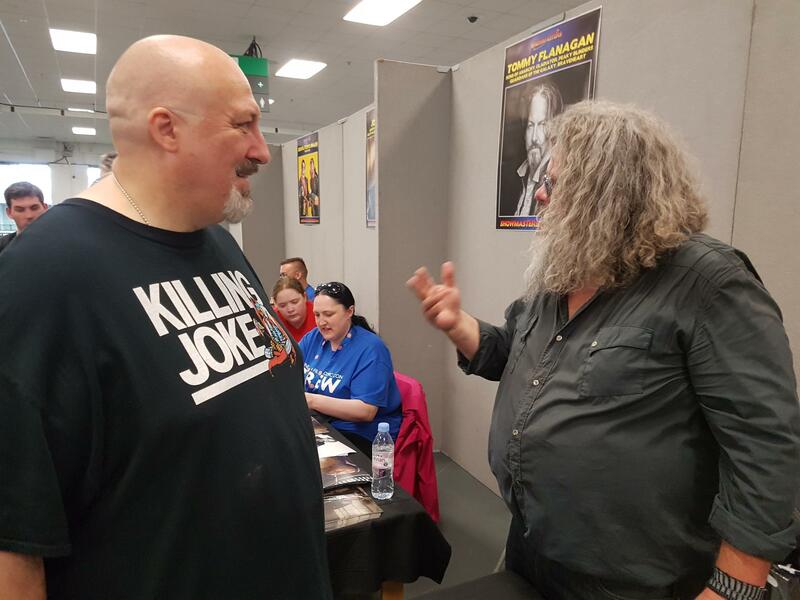 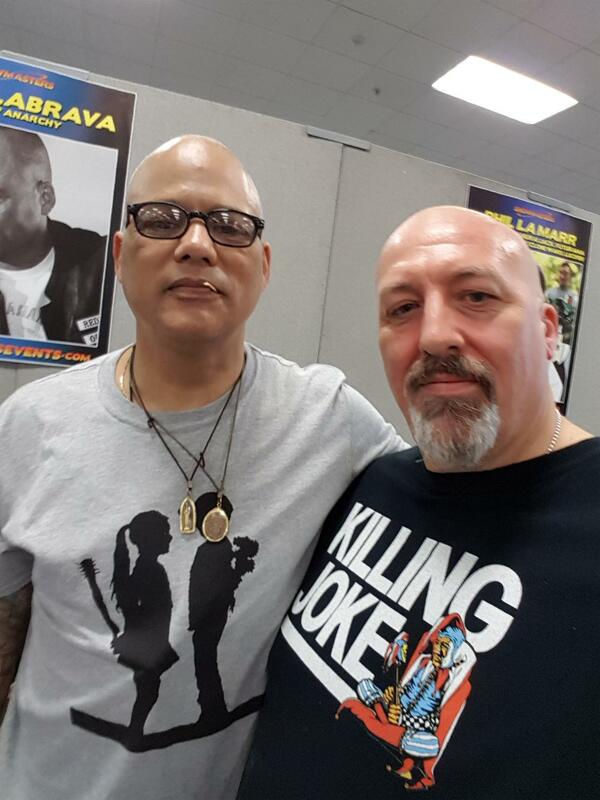 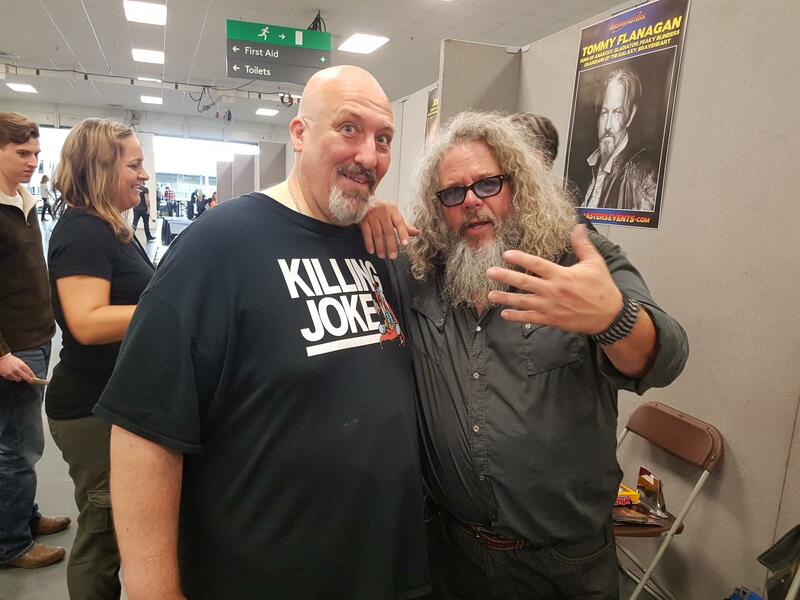 Met Tommy Flanagan, Mark Boone Junior, David Labrava, and Kristen Renton from SoA at LFACC Olympia July 2017. 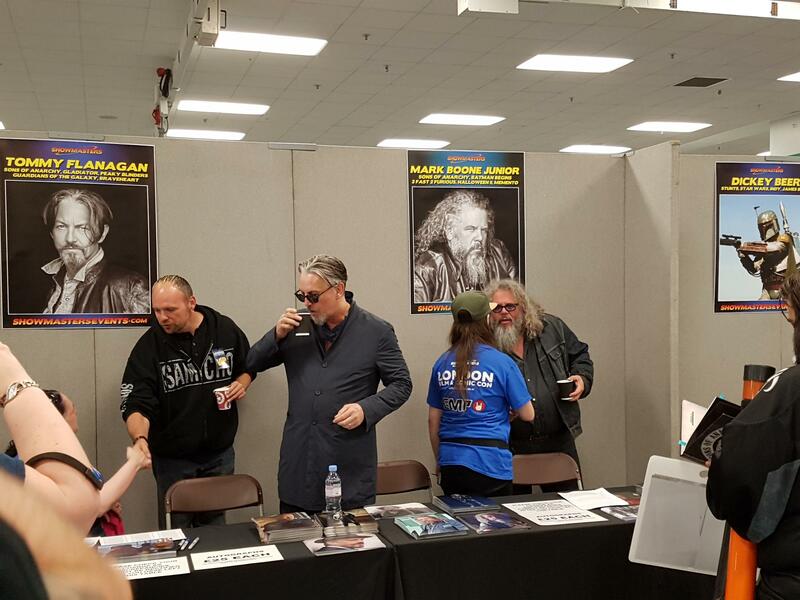 Loved meeting all four of them, and took some pics plus had a photo with all four, and also got David's book signed by him. 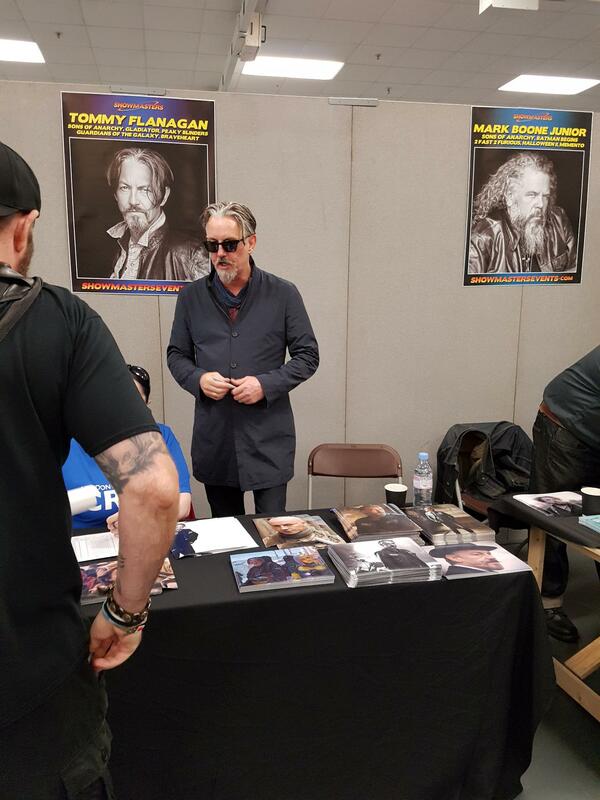 I was in a rush for my first photo on Friday, so I did not get a solo picture with Tommy. 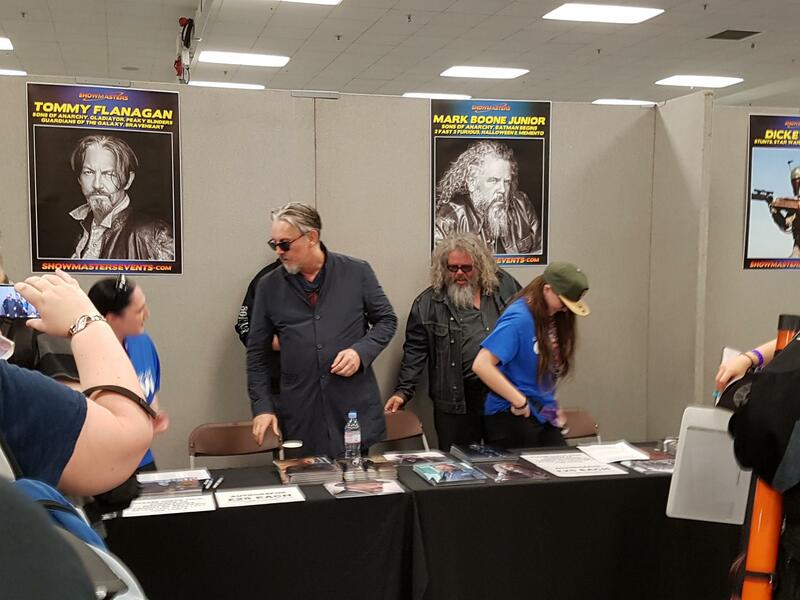 Also, I was the last person to meet Mark before lunch on Friday, and the volunteer for his line snapped several pics of me with Mark. 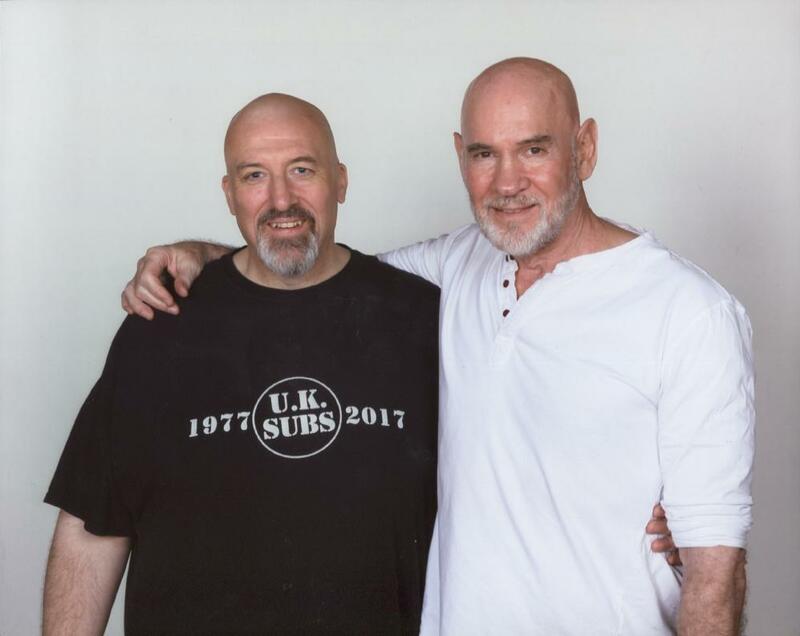 The cast photo came out a bit dark, but is ok.
Met Mitch Pileggi at the excellent Wales Comic Con on the weekend of 2/3 December 2017. 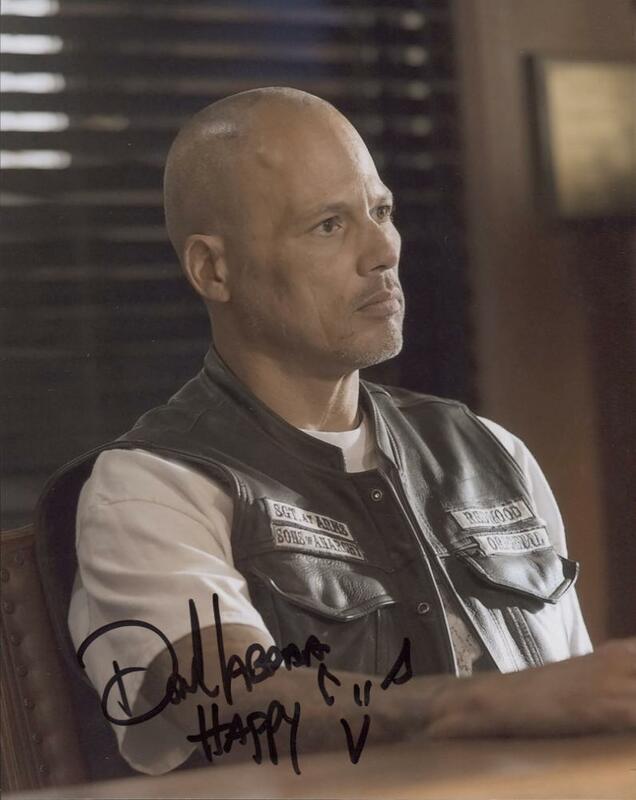 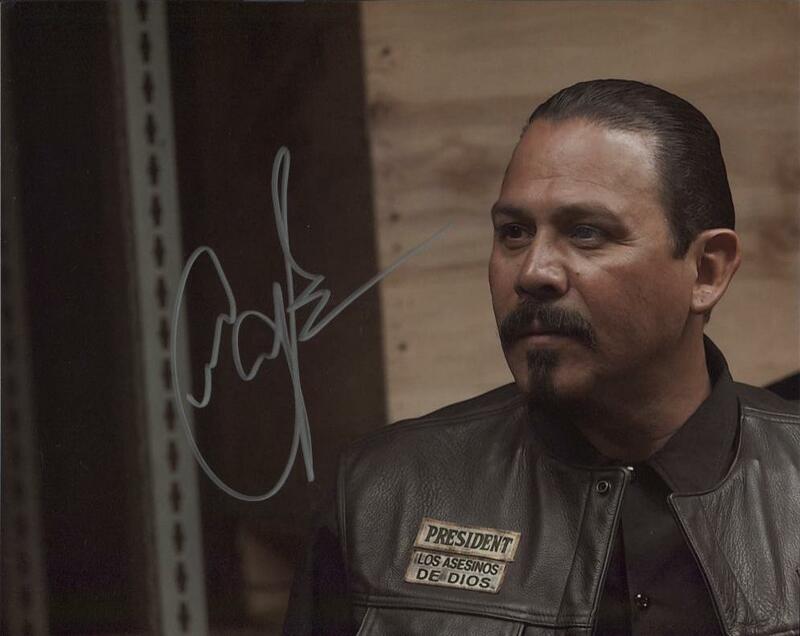 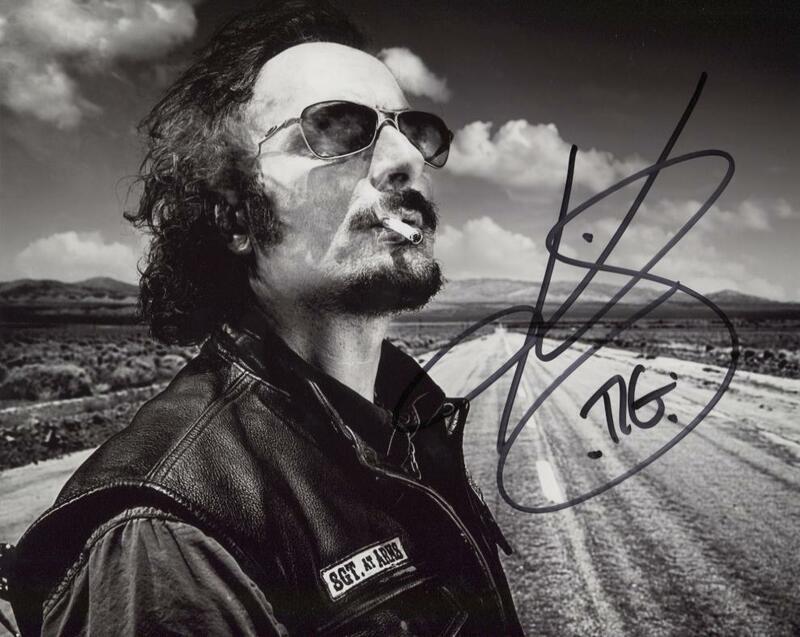 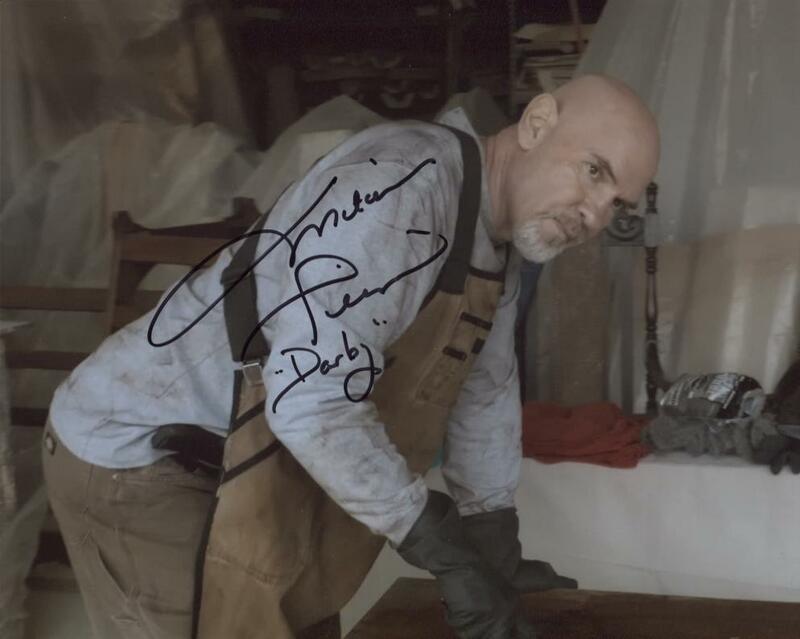 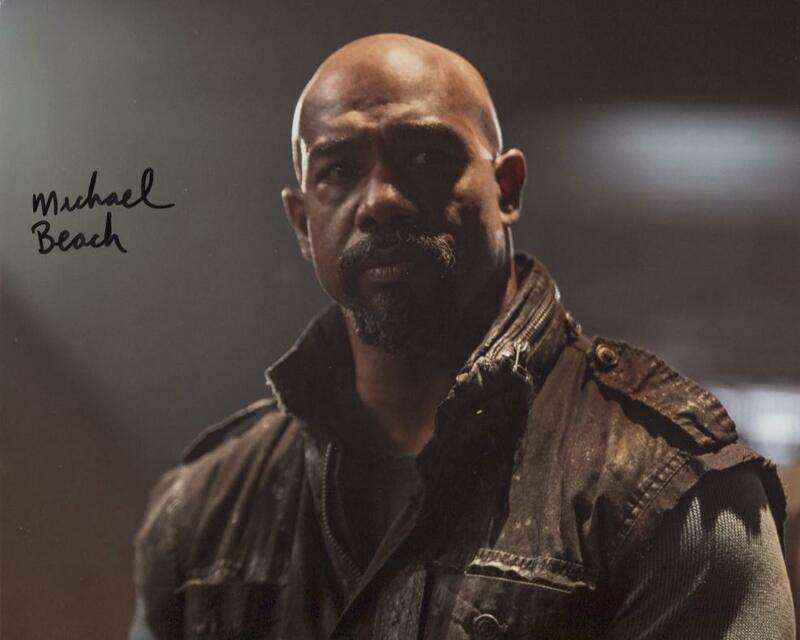 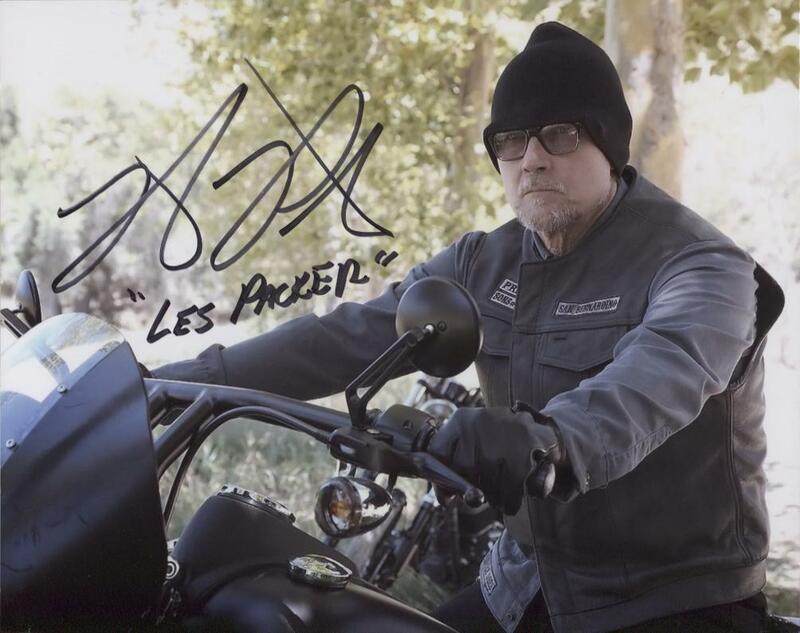 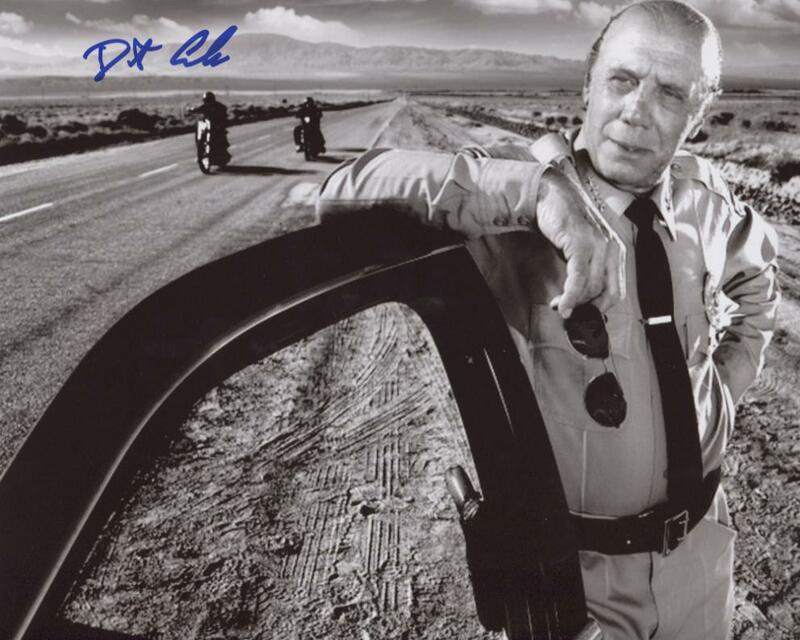 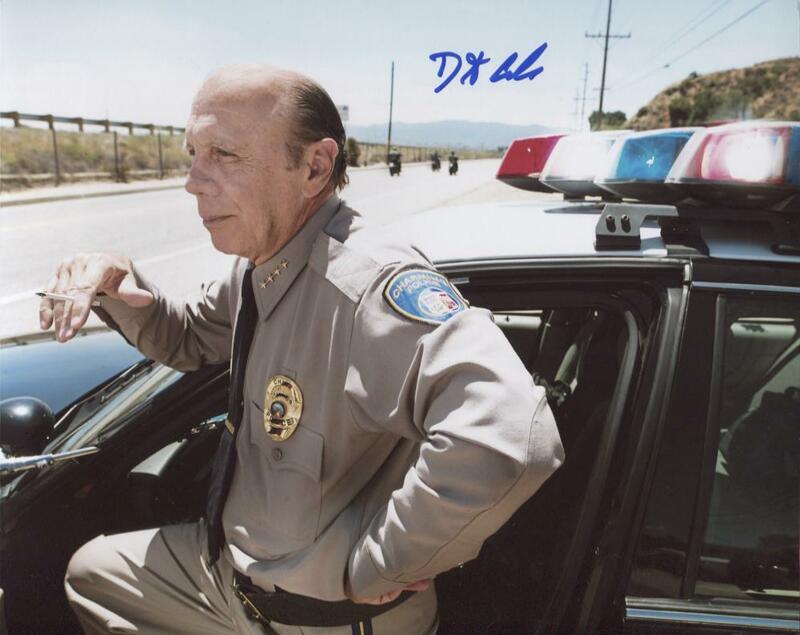 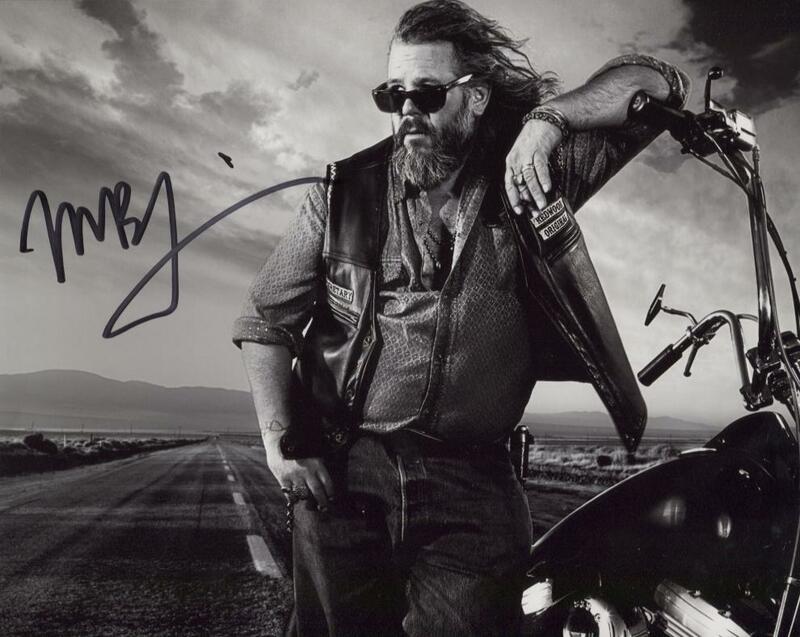 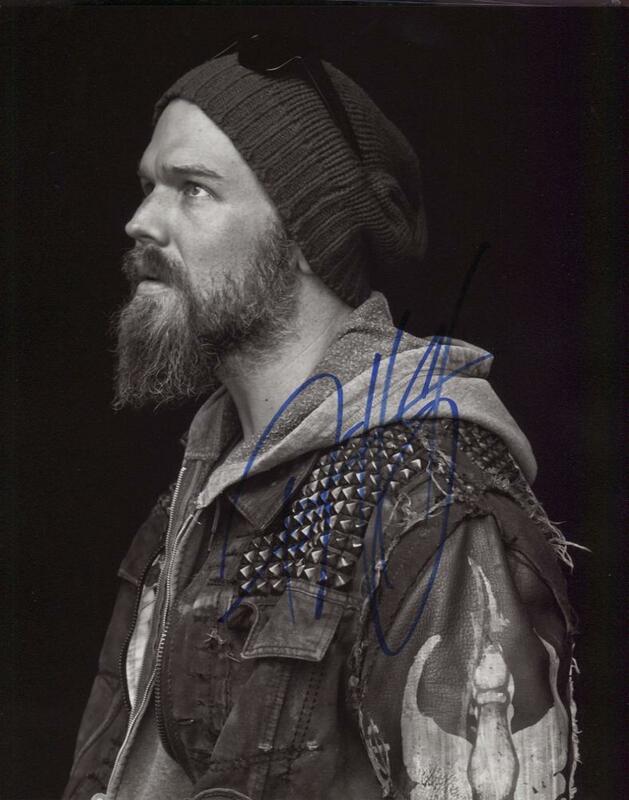 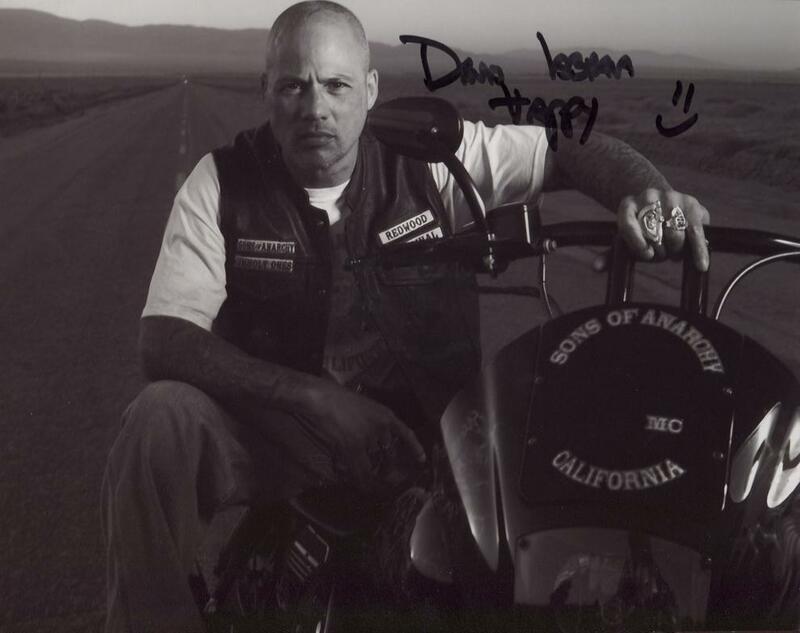 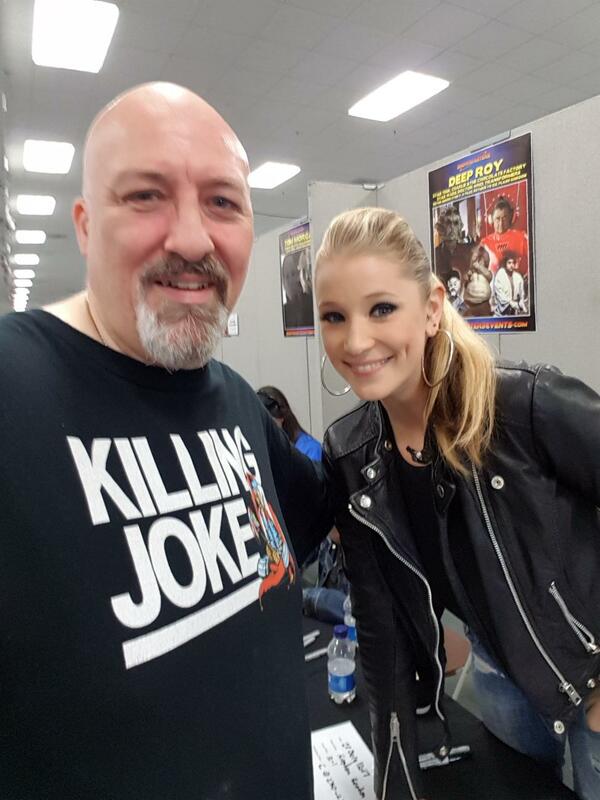 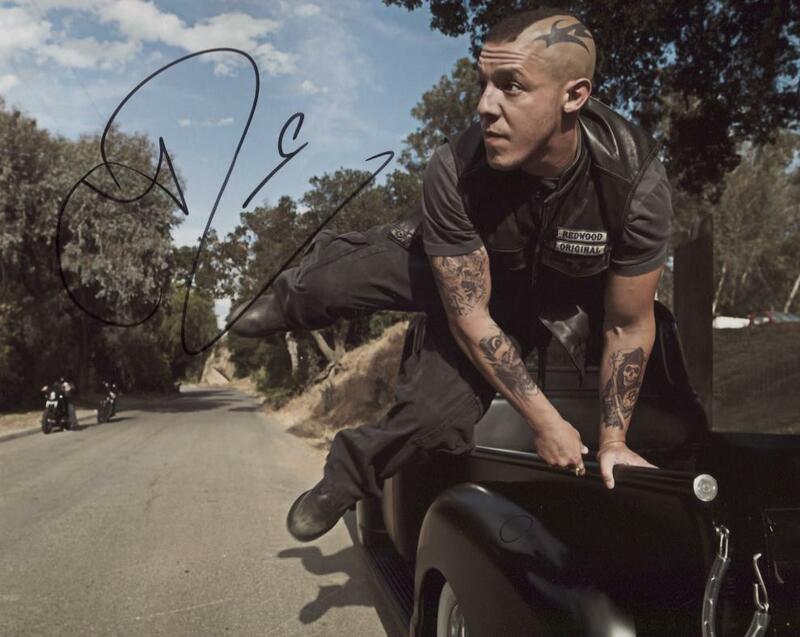 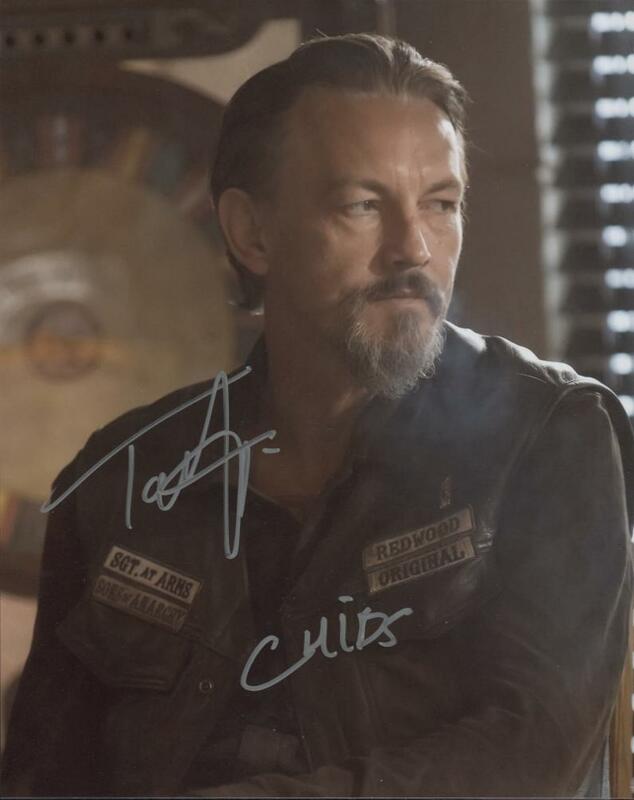 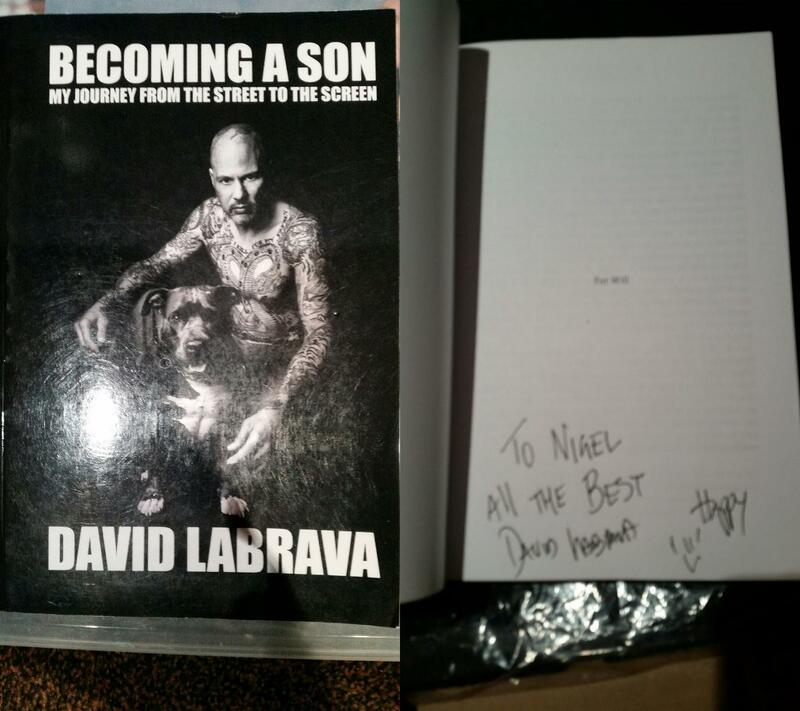 As well as getting him to sign a couple of pics including one of him as Darby in SoA, I had a photo taken with him. 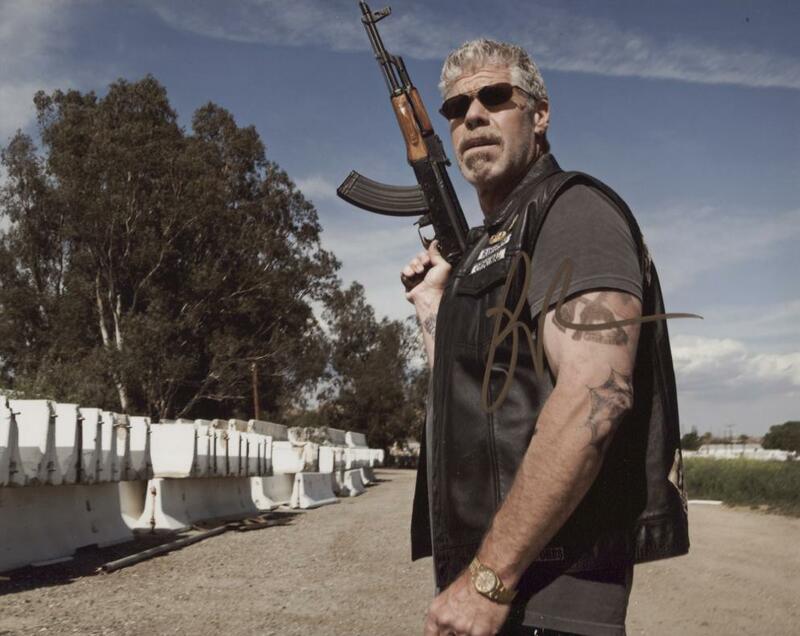 Like a few shows I was late to watch SoA. 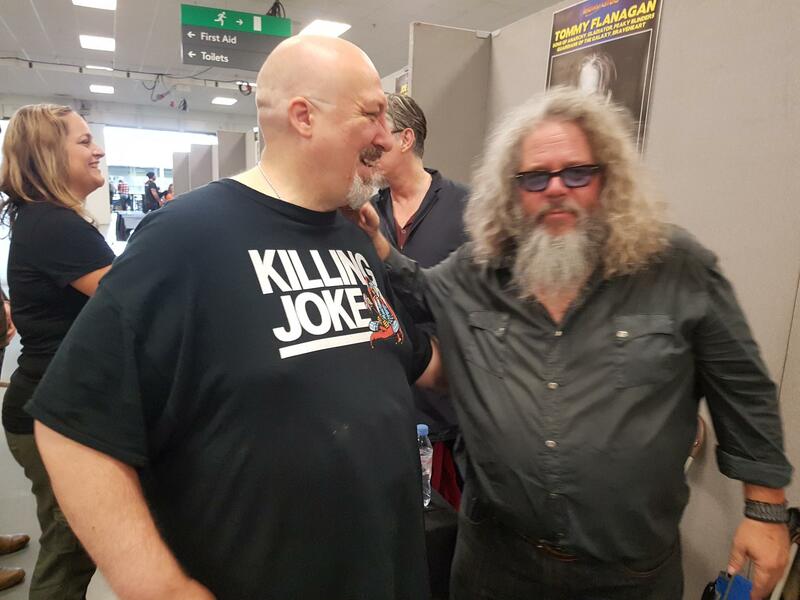 I started binge watching over the Christmas 2016 holiday, and finished it in mid January 2017. 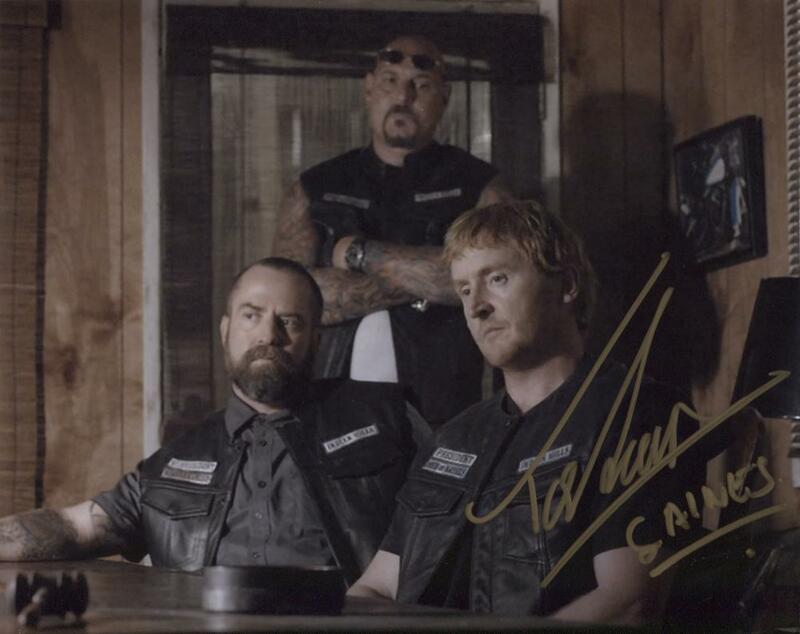 This a truly brilliant show from start to finish, and I was gutted when I finished the final episode. 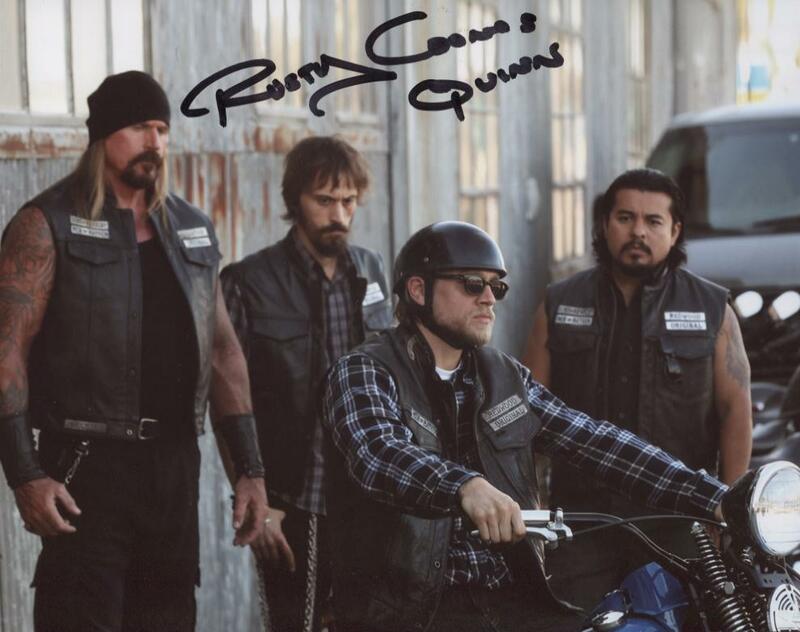 I will definitely be watching this again.